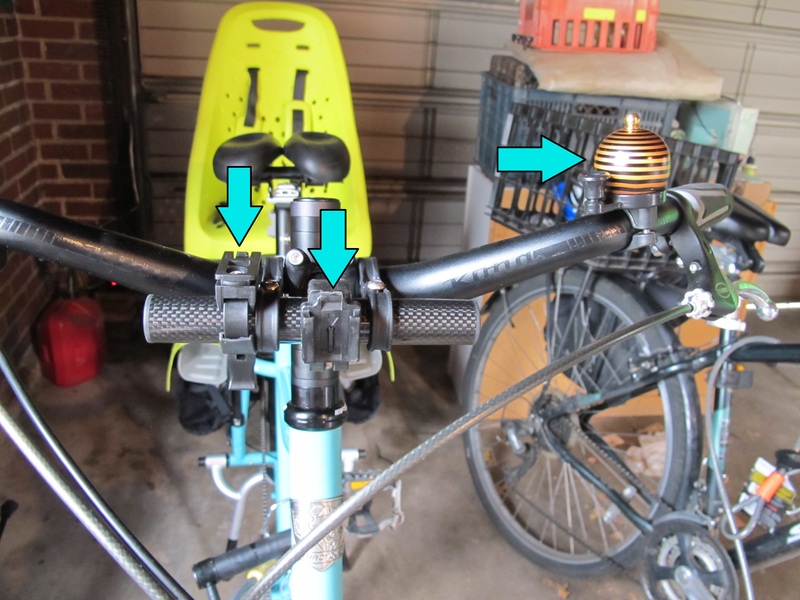 The folks at Xtracycle offer a few different build options for the Edgerunner, with different gearing and brakes, but once we decided we wanted an internal hub, it was cheapest to just buy the frame and build from there, rather than buy one of the stock bikes and swap parts. First, a shout out to the Facebook group (R)Evolutions Per Minute: Cargo Bikes in the US. Cargo bike owners and enthusiasts graciously answered questions and provided input throughout the entire longtail selection and building process, and their help was invaluable. (R)Evolutions Per Minute is the Facebook group of the Less Car More Go cargo bike documentary project (learn more and check out the Kickstarter campaign). Also, thanks again to The Hub (our LBS) for taking on this project (there are no official Xtracycle dealers in StL) and to the folks at Xtracycle, for taking time to answer our questions. FlightDeck [Two] rear deck: the new version has ports for the Yepp Easyfit seat built into the deck — this is both good and bad . 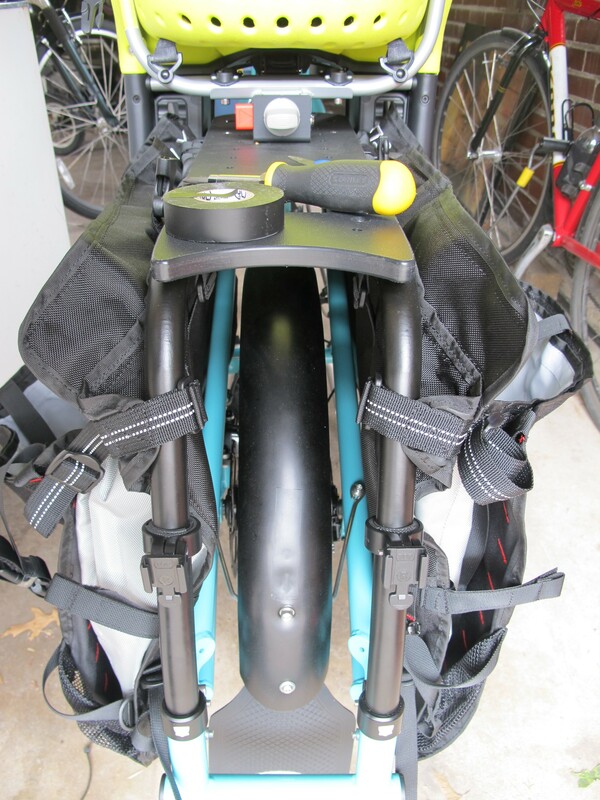 . .
We were warned by Xtracycle that the Yepp Child Seat might not play nicely with the X2 cargo bags — specifically, that we would not be able to use the lids that are an integral part of making the X2 bags waterproof. Thinking long-term, we opted for the X2 bags anyway — in a couple of years, G will have outgrown the child seat, and we’ll have fully-functional bags — until then, we’ll just have to make sure cargo is protected from rain some other way. Unfortunately, the compatibility issue seems to be exacerbated by the new FlightDeck design. The previous design required the use of the Yepp Easyfit adapter, which meant the Yepp seat was mounted a couple of inches above the cargo deck. 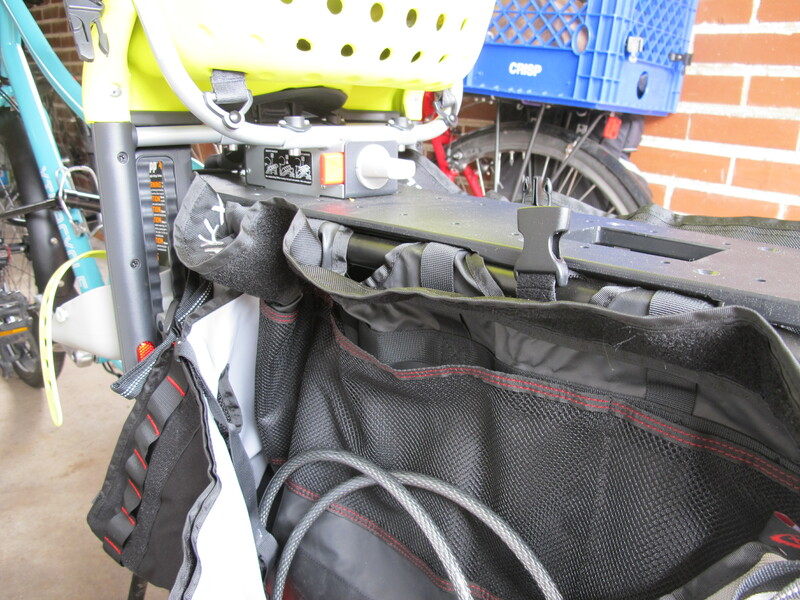 While the new design, with the Yepp Easyfit ports built right into the cargo deck, is an improvement in terms of keeping the child’s weight lower and not having to buy the adapter, those extra vertical inches may have been key to the seat and the cargo bags playing nicely together. The footrests on the Yepp seat, which straddle the cargo deck, do not fir over both the deck and the inside layer of the cargo bag when the seat is in the front port. For our initial test ride, we had to use the rear port for the Yepp seat, which put G’s weight further back on the bike, creating more balance issues. The following morning, we came to the above compromise: we returned the Yepp seat to the front port and scrunched the bags toward the back of the rack, so the front of the cargo bag is behind the Yepp footrest. Not ideal, but seemingly our best option. Though you can’t see much of the frame, what you can see in the pictures in this post actually come close to depicting the actual color. 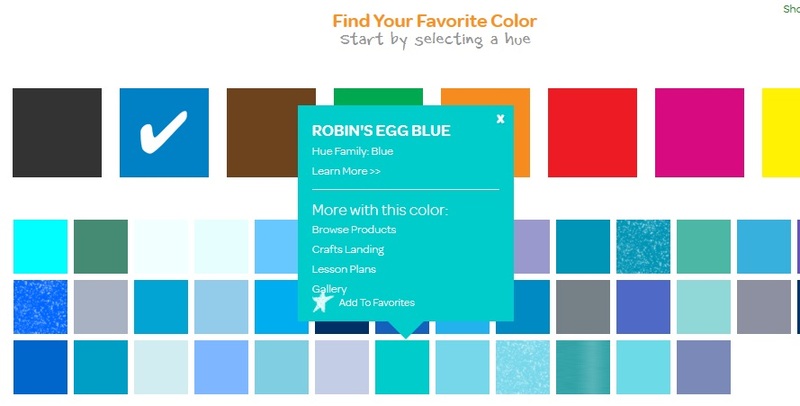 I did a little digging on the Crayola website, trying to find a way to describe our frame color, and found . . .
. . . robin’s egg blue! I think that is the closest color match I’ve seen. 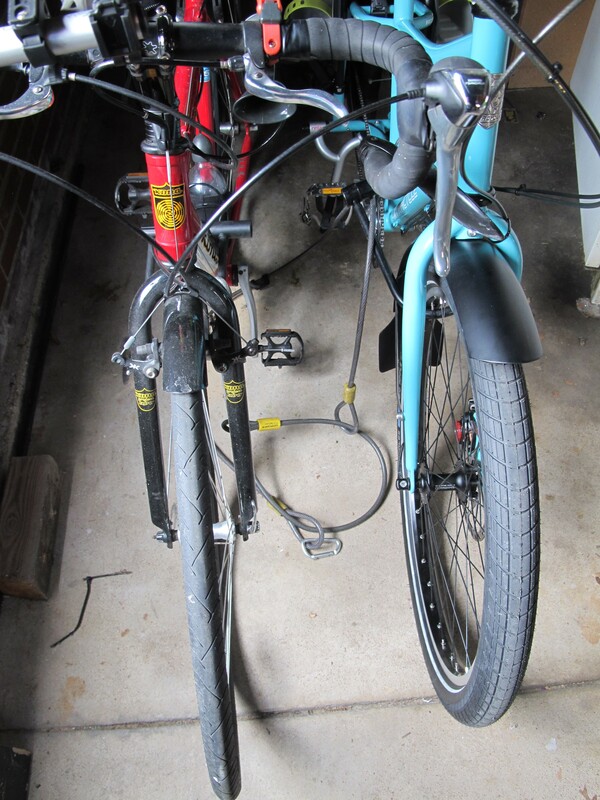 This entry was posted in Biking and tagged cargo bike, longtail. Bookmark the permalink. I think the Rr looks lovely! I like the blue, from what I can see, and think it’s sharp with the green Yepp seat. To many happy rides!